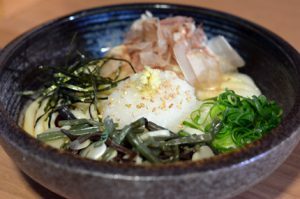 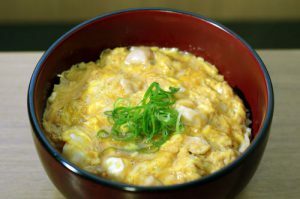 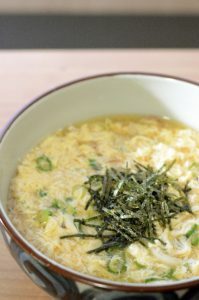 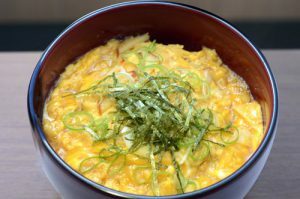 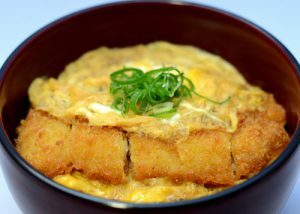 garnished with egg, green onions and seaweed. 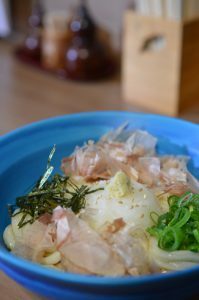 Cold Udon Noodles topped with lots of bonito flakes, seaweed,green onion and grated daikon(radish). 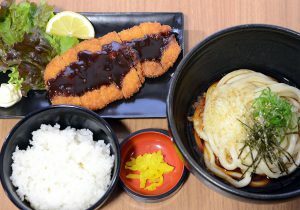 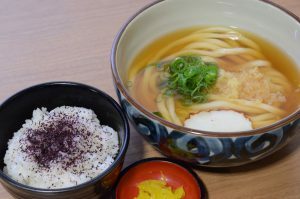 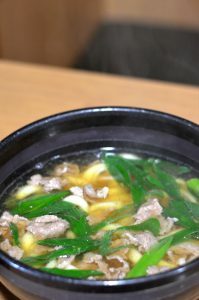 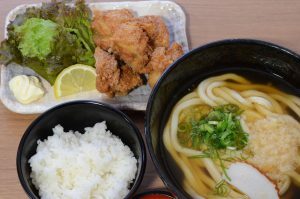 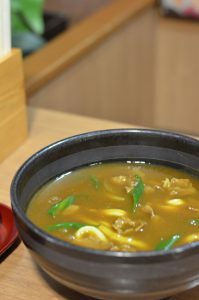 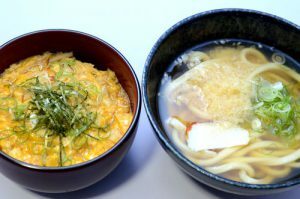 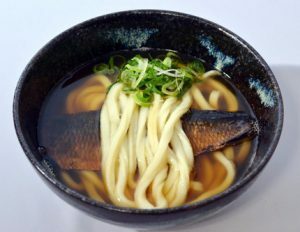 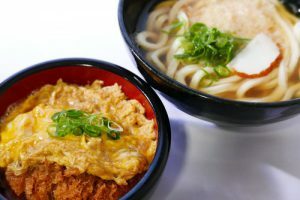 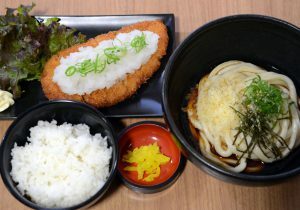 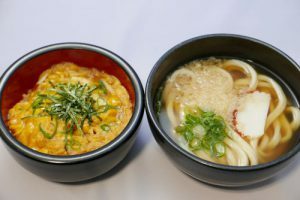 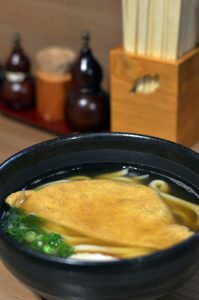 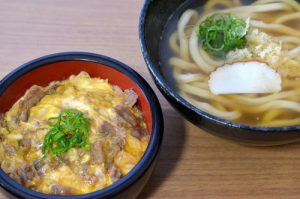 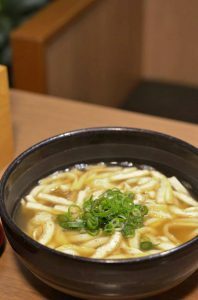 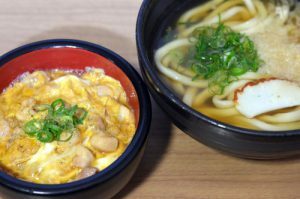 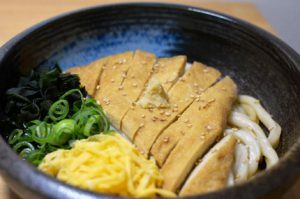 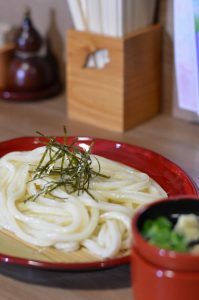 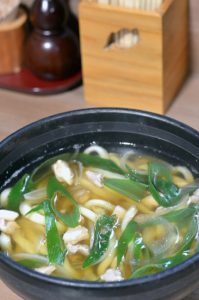 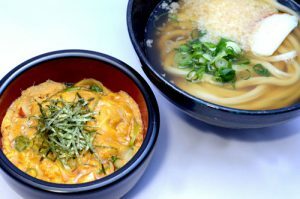 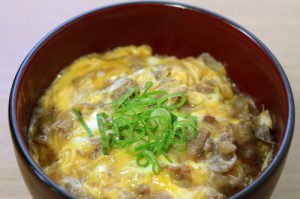 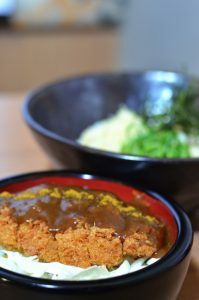 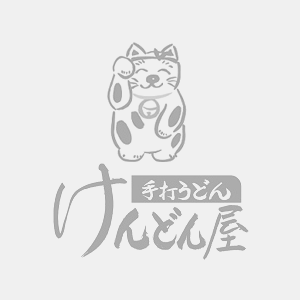 hot udon or chilled udon + white rice with fruitcake "shiso"